For HD movie fans, a powerful media center is so important for that it should be able to link your computer, media server and all kinds of home video playback devices seamlessly. Plex Media Server is such a complete solution for streaming media from your computer to your TV or various mobile devices in your home. This app not only work with multiple platforms like Windows, Mac, Android, and Linux but also have a full compatibility with most main stream product lines in home media filed like Roku, Samsung, Vizio, LG, Xbox, PlayStation, etc. It plays media from a variety of different sources. For users who just want a 1:1 conversion of each ISO to watch on Plex and don’t care much about the storage, lossless MKV is definitely the best choice. 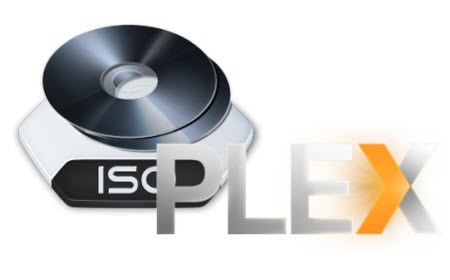 However, Plex does not support the use of ISO, IMG, Video_TS, BDMV, or other “disk image” formats in consideration for pirating issues and local laws. So how to bypass the main obstacle to ripping the ISO files with the copy protection that now sits on every disk? What you need is a software app that could read ISO well, then kick the copy protection to one side and remux into MKV without quality loss to play on Plex server. 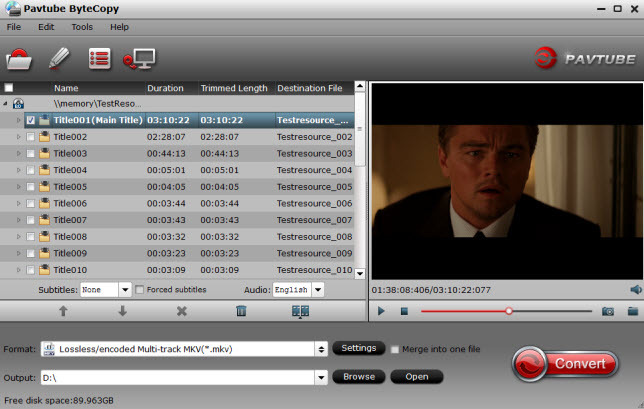 Here is how come Pavtube ByteCopy, an efficient ISO Converter on both Windows and Mac OS, which is specially designed for users who want to rip BD/DVD ISO images files with multiple audio tracks and subtitles. How to Lossless Convert ISO to MKV for watching on Plex? Step 1. Run ISO to Plex Converter and import ISO image files. Click “Load disc” icon, choose “Load IFO/ISO” and search for the path where you save the ISO files. Note Pavtube can read ISO directly so no need to run virtual disk drive to mount. 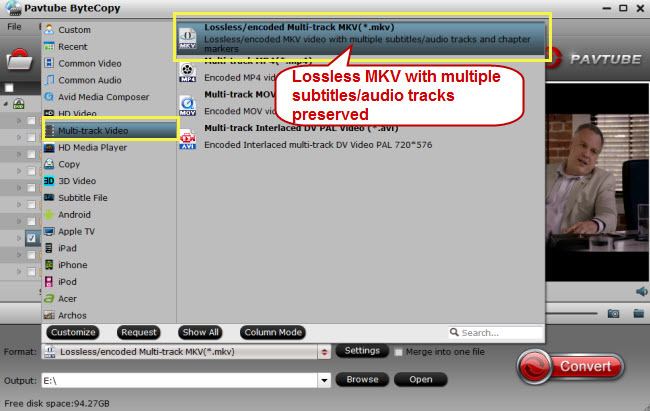 Click the format bar to follow “Multi-track Video” and “Lossless/encoded Multi-track MKV (*.mkv)” because it will contain chapter markers in the output video. 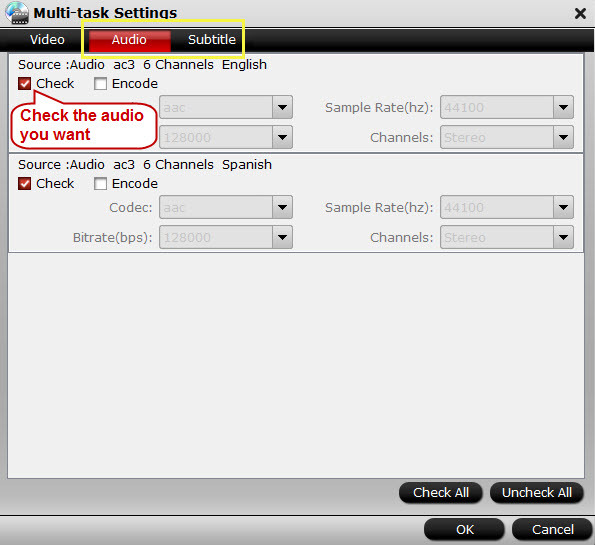 Click “Settings” to enter Multi-track video profile window; switch to “Video” and find the “Encode” box which is unchecked by default, so if you want a lossless MKV copy, do not touch it. Click the big “Convert” to start ISO to MKV conversion. The conversion speed also depends on your computer configuration. Since the movies are remixed to MKV directly without transcoding, the conversion should complete in a short time. After conversion, click “Open” or “Open output folder” to quick locate converted files. Ok now the lossless MKV files are prepared; transfer them to your hard drive or NAS to stream it to Plex Media Server, now you can enjoy Blu-ray and DVD movies on TV with exactly the same quality as original! DVD ISO files still kill Kodi 15/14? Solved!